Tenterden Station became our home for the weekend on the 17th & 18th May as we became part of the Kent & East Sussex Railway's 1940's weekend. The whole station had been transformed with stunning vintage cars and a beautiful vintage ambulance and fire engine. Everywhere you turned people were dressed in wonderful outfits from the era, it really was like stepping back in time. We had a fantastic stage where we performed throughout the day. Our sets of 1940's songs tied in with the departures and arrivals of the passengers who were riding on the impressive steam train that was travelling from Tenterden down to Bodian Castle. The weather was beautiful all weekend and there was not a cloud in the sky on the sunday, perfect for the overhead spitfire display that wowed the crowds and ourselves! A highlight of the weekend has to be watching the audience wave their union jack flags as they joined us in a rousing version of We'll Meet Again. All in all a truly magical weekend. On 5th April it was back to the Shire for one of the Nightingales as Emma returned to her old stomping ground where she grew up! We were booked to entertain the guests at a 1940's Blitz Ball at the lovely Hellidon Lakes Hotel & Spa near Daventry in Northamptonshire. The ball was held to raise funds for the amazing Help for Heroes charity. 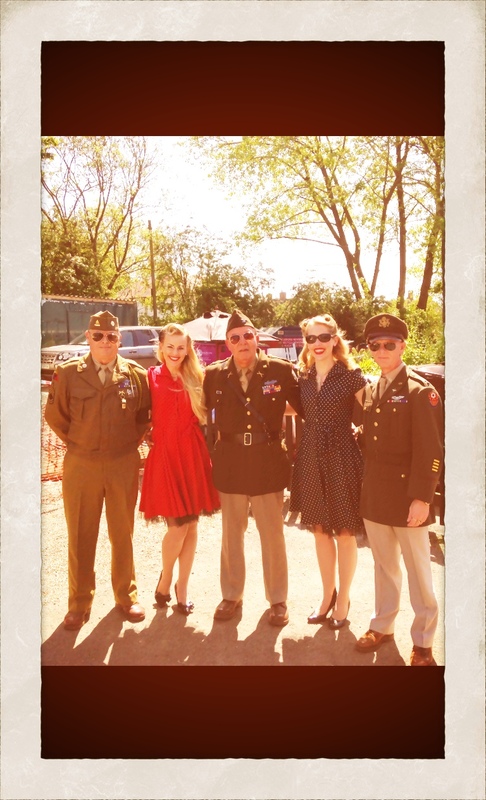 The guests who were all dressed in vintage attire, enjoyed a red carpet entrance with a champagne reception. 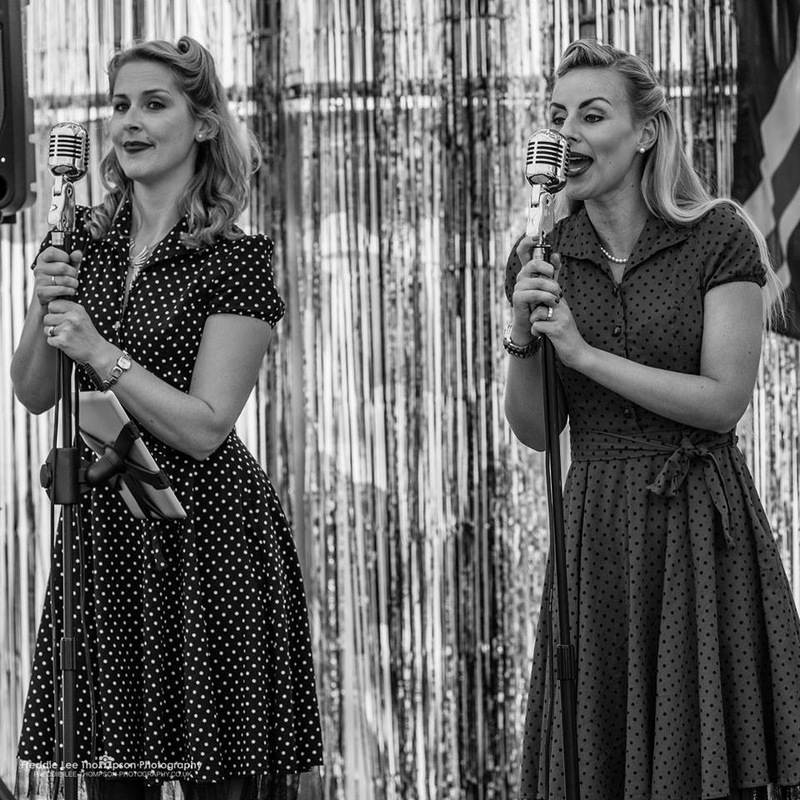 Once the guests were seated we began our 2 sets of 1940's vintage songs as they enjoyed the delicious food that was being put in front of them. It was a magical evening with lots of money being raised for an incredible cause. 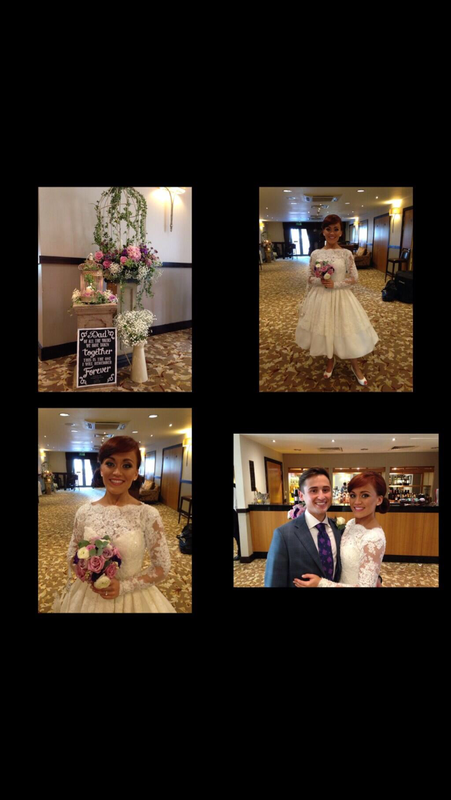 This event also marked new Nightingale Abi's debut as she covers Katie's maternity leave. She did a sterling job and we loved every minute. On Valentines Day itself, we spent the evening back at the fabulous Restaurant 107 in Cranleigh. As the diners arrived we sang some lovely romantic tunes to set the mood as the champagne flowed. We were so excited that once again we got to enjoy the amazing food at this stunning venue and enjoyed a 5 course banquet that really was mouth watering. As the guests finished off their coffee and heart shaped chocolates we took to the microphones and felt the love in the air as the couples filled the dance floor to complete their romantic evening. 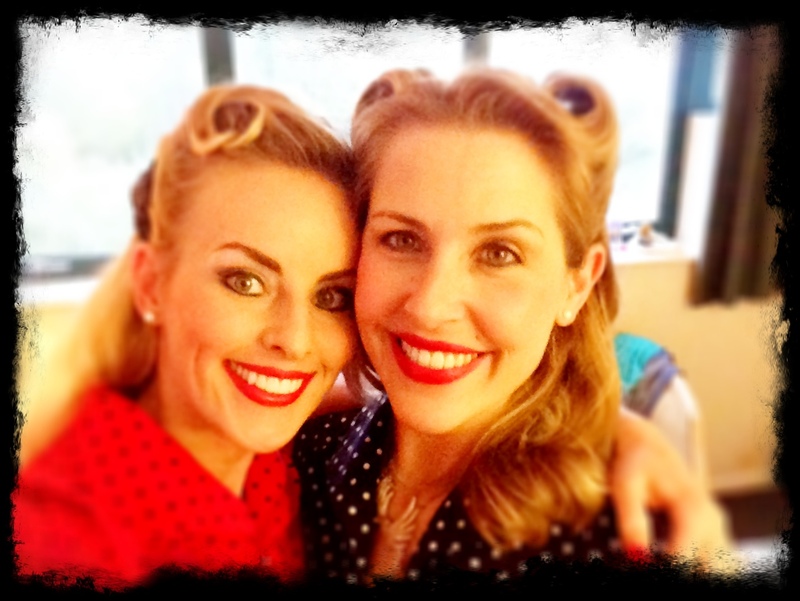 Saturday was named The Nightingales on tour! First stop was Eastcote, Pinner for an afternoon vintage tea party to celebrate Dawn's 30th birthday with her family and friends. 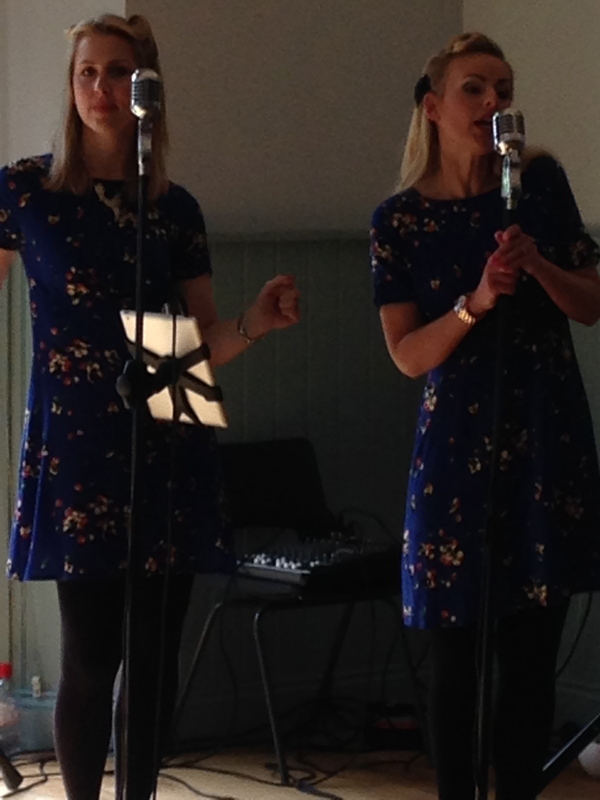 We sang up a selection of our 1940's favourites as the guests enjoyed tea and cakes from the wonderful Tea Vintage! We love singing at an event where Tea Vintage are catering as Marie looks after us so well with cups of tea and we get to try all her scrummy cakes! Second stop took us down the M3 to Basingstoke and the delightful Audleys Wood Hotel. We were really looking forward to returning here having sung for their guests last Christmas Eve. We set up in the beautiful conservatory and sang a couple of sets full of romantic, easy listening songs to set the mood whilst the dinners enjoyed their incredible food and each others company. A lovely end to a fun filled Valentines weekend for us.